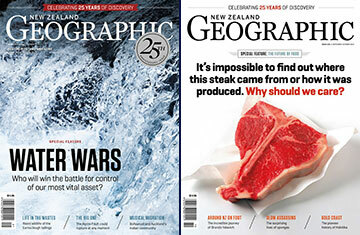 New Zealand Geographic has been celebrating our people, places, wildlife and environment for two decades. Its archives hold more than 600 in-depth features about our country, natural history and culture. This multi-award-winning magazine is available online via your library card membership. You can either read the latest issue, browse previous issues by clicking on covers or search the archive using keywords. The magazine has the same layout and resolution on the screen as it has in print. Simply login with your library card number from here. If you have any questions about this new eMagazine – please email us at enquiries@wcl.govt.nz, or ask a librarian when you’re next at the library to show you.